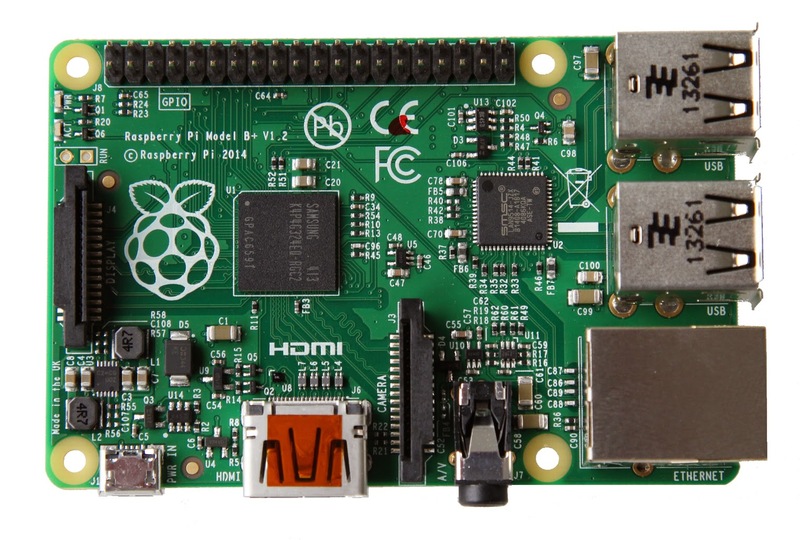 The Raspberry Pi Foundation announced "Raspberry Pi Model B+" today, an upgrade to the original Model B, which is available at the same price ($35). For those not familiar with the Raspberry Pi, this is a credit-card-sized computer which runs Linux, created with the intention of promoting the teaching of basic computer science in schools. A wide variety of Linux distributions are available for Raspberry Pi, such as Raspbian (Debian Wheezy), Pidora (Fedora remix), Openelec and RaspBMC (XBMC Media Center) and Arch Linux. Lower power consumption. By replacing linear regulators with switching ones, power consumption was reduced by between 0.5W and 1W. Neater form factor. The USB connectors were aligned with the board edge, moved composite video onto the 3.5mm jack, and added four squarely-placed mounting holes. The announcement also mentions that the Raspberry Pi Foundation will be "keeping Model B in production for as long as there’s demand for it". The new Rasbetty Pi Model B+ is available from this morning and you can buy it from Farnell/element14/Newark, RS/Allied Components and others. Meet the Raspberry Pi Model B+ from Raspberry Pi Foundation on Vimeo.